Find your way to your family's best sleep solutions! Do you wonder whether you'll ever sleep through the night again? Relax! This reassuring guide provides the essential information you need to help your kids to go to sleep -- and stay asleep -- all night long, whatever their age or stage of development. So cheer up -- a good night's sleep is just pages away! About Arthur Lavin (Author) : Arthur Lavin is a published author. 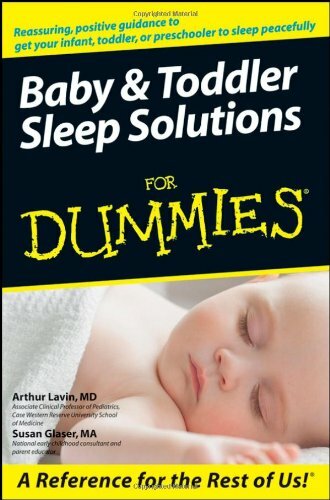 A published credit of Arthur Lavin is Baby & Toddler Sleep Solutions For Dummies (For Dummies (Health & Fitness)). About Susan, MA Glaser (Author) : Susan, MA Glaser is a published author. 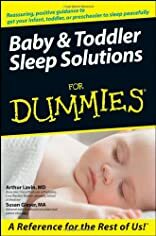 A published credit of Susan, MA Glaser is Baby & Toddler Sleep Solutions For Dummies (For Dummies (Health & Fitness)).